The City of Easthampton, population 16,000, lies in the Connecticut River Valley eight miles north of Springfield in south-central Massachusetts. Easthampton, once known for the manufacture of buttons and cloth, is now primarily home to light industry and suburban residential development. 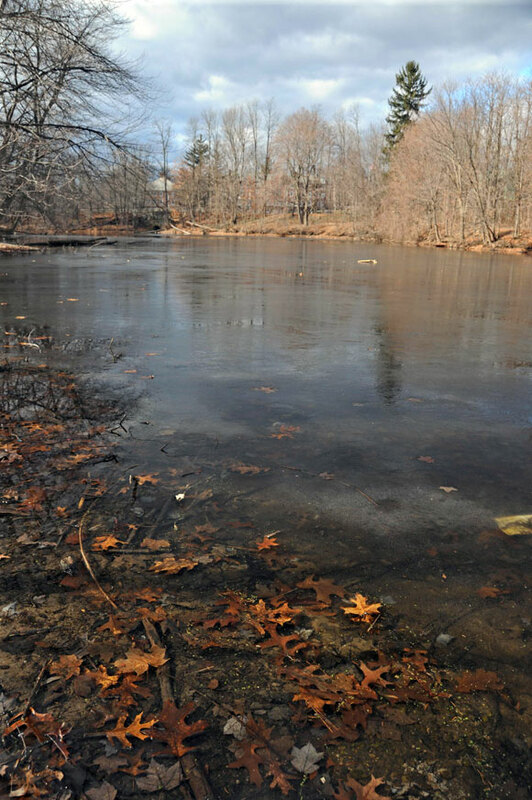 The City is justifiably proud of its outdoor recreation opportunities including the Massachusetts Audubon Arcadia Wildlife Sanctuary and the 1,800-acre Mt. Tom Reservation. Easthampton uses TDR to protect farmland, rural character, historic resources and aquifer recharge areas. In 2006, Easthampton adopted a TDR designed to protect farmland, aquifer recharge areas, rural character and historic resources while fostering compact, pedestrian-friendly neighborhoods near existing urbanized centers. Sending and receiving areas are depicted on the Transfer of Development Rights Map. Applicants calculate TDRs available at a sending site parcel by subtracting acreage in wetlands, floodplains and riverfront areas plus an additional five percent for rights of way. A conceptual plan for the remaining developable land determines the number of feasible lots and one TDR can be granted for each potential lot that the owner chooses to forego. The owner can choose to transfer some or all of a sending site’s development rights. Prior to transfer, the owner must record a conservation easement to be held by the Easthampton Conservation Commission or a designated non-profit land trust. Agricultural preservation restrictions can be released under the provisions of Massachusetts General Law Chapter 184, Section 32. The land owner must buy back the development rights from the City at present market value and the City must use these funds for the purchase of development rights. The land is no longer deemed suitable for agriculture as determined by a two-thirds vote of both branches of the Massachusetts general court. Receiving site development must be served by public sewer and water. Proposals to use TDR on a receiving site are approved by the Planning Board through the special permit process. Receiving site developments can use TDR in any of three ways. 1) Each development right allows 2,000 square feet of additional non-residential floor area plus a five percent increase in lot coverage. Baseline lot coverage ranges from 40 percent to 60 percent depending on the zoning district. Via TDR maximum lot coverage can reach 75 percent. 2) Each development right allows 1.2 additional dwelling units plus a five percent increase in lot coverage. An additional ten percent increase in the number of units is allowed if the project meets affordability guidelines. 3) Each development right allows one neighborhood commercial building lot up to a maximum of one neighborhood commercial lot per ten residential lots within a Traditional Neighborhood Development. To ensure that developers can actually use the additional density and bulk allowed through TDR, the code allows TDR receiving projects to use modified limits for lot size, frontage, front setback, side setback, rear setback, building coverage and height. In lieu of transferring actual TDRs, applicants may make a cash contribution to the City’s Farmland and open Space Fund to be used for purchasing agricultural preservation restrictions, conservation easements or open space in the sending area with the Easthampton Conservation Commission providing oversight. The contribution amount is intended to equal the raw land value of the land represented by one TDR. At the time of ordinance adoption, in January 2006, this amount was $35,000 per lot. This amount is to be reviewed and adjusted every two years. No more than 100 TDRs can be purchased through this cash contribution process in any calendar year. The ordinance requires the City to maintain a registry of landowners who have expressed an interest in selling their development rights. Developers are supposed to seek development rights from those on the registry before considering the cash contribution option.